Welcome to Menage a Blog Giveaway. Do you love to read? Like free books? Well, then this is the event for you. 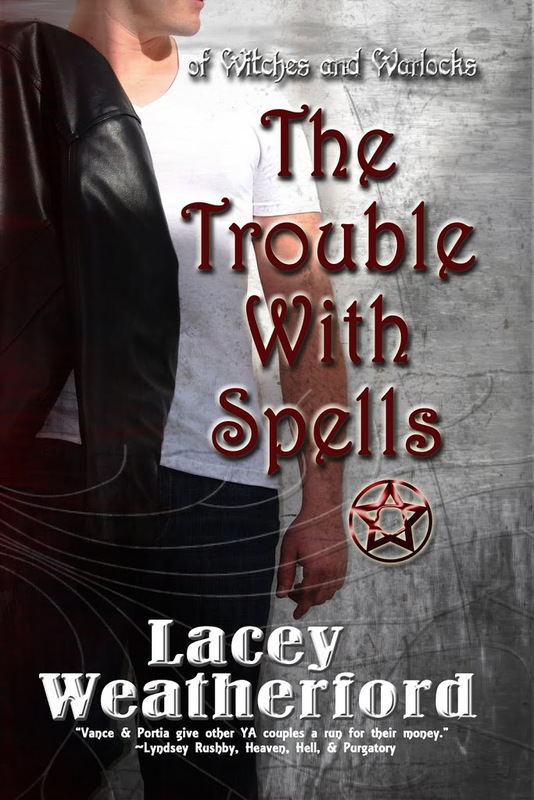 EVERY person who comments on Lacey Weatherford’s site gets a free ecopy of The Trouble with Spells. Not only that but you will be entered into the GRAND PRIZE giveaway which features a personalised, autographed photo of MATT Lanter. Matt is Lacey’s muse for Vance. Now who wouldn’t want to win that? Lacey has created a strong, role model worth, protagonist called Portia Mullins. Portia is an ordinary teenager, living an ordinary life until she reaches her sweet sixteen birthday. Instead of being given a dress or some frivolous gift, she is told she is a witch. A very powerful witch at that. She is a descendant form a long line of witches and warlocks on her father’s side. Her Grandmother is the high priestess of a coven, in which she meets Vance Magnum. A leather clad, motorbike riding bad boy. Who turns out to be more than her soulmate, they are meant to be together. The chemistry and romance is breathtakingly deep, as Portia struggles to balance love, life, magic, family and being a teenager. What I love most about the fact that Portia was a witch, was that she was a real witch that can do some really cool magic. Not just, mix some herbs together and cure a cold. She can move things, blast things and just about anything. However, she needs to learn them and more importantly learn how to control her powers. Their bond is put to the test when Vance’s past catches up with him. Will they survive it? Sparks will fly and not just between Vance and Portia. Check out Lacey Weatherford’s official website. 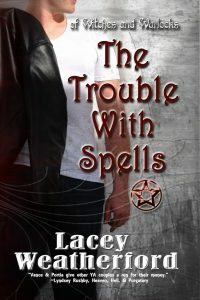 Please leave a comment on Lacey Weatherford’s site with your email address if you want one of the free ebook codes emailed to you.